Releasing in 2018 in Australia, the US and the UK. At least Annalise is on her side. Her new friend is determined to celebrate their freedom from kids, so together they create a Facebook group to meet up with like-minded women, and perhaps vent just a little about smug mummies’ privileges at work. 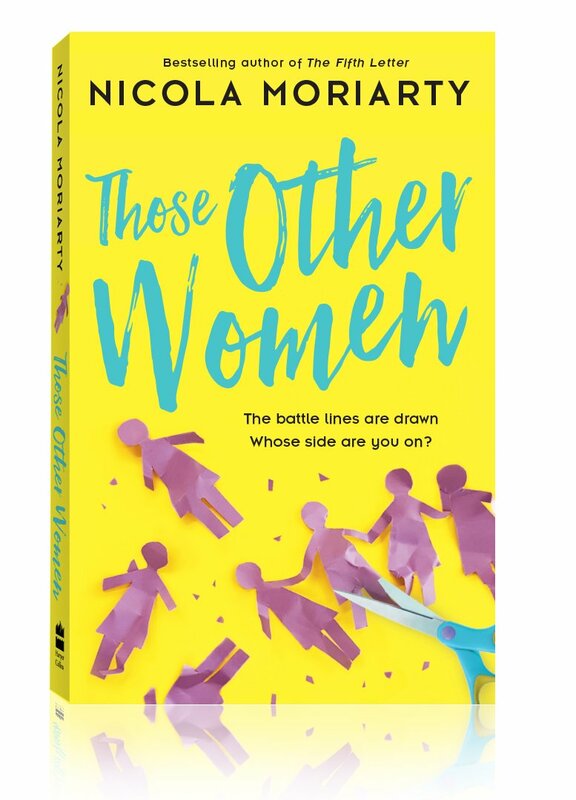 Meanwhile their colleague Frankie would love a night out, away from her darlings – she’s not had one this decade and she’s heartily sick of being judged by women at the office as well as stay-at-home mums. Then Poppy and Annalise’s group takes on a life of its own and frustrated members start confronting mums like Frankie in the real world. Cafés become battlegrounds, playgrounds become warzones and offices have never been so divided. "‘I devoured it, loved it and totally escaped into it… Fun and topical." "…largely about the lives of women, this novel shows the same sharp eye for neat plotting that Moriarty revealed in her last novel…"
"Super addictive, cleverly plotted and ridiculously relatable." "an acerbic suburban satire about motherhood"